Not sure if you suffer from this? 1. Experience frequent, unexpected panic attacks that aren’t tied to a specific situation. 2. Worry a lot about having another panic attack. 3. Are behaving differently because of the panic attacks, such as avoiding places where you’ve previously panicked. 1. Anticipatory anxiety – Instead of feeling relaxed and normal in between panic attacks, you feel anxious and tense. This anxiety stems from a fear of having future panic attacks. This “fear of fear” is present most of the time, and can be extremely disabling. 2. Phobic avoidance – You begin to avoid certain situations or environments. This avoidance may be based on the belief that the situation you’re avoiding caused a previous panic attack. Or you may avoid places where escape would be difficult or help would be unavailable if you had a panic attack. Taken to its extreme, phobic avoidance becomes agoraphobia. If you feel that you have panic disorder, speak to your doctor first to eliminate any physical problems. 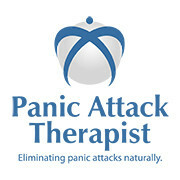 The good news is that panic attacks and panic disorder can be treated by a qualified therapist. Have a look at this link for an effective online programme. 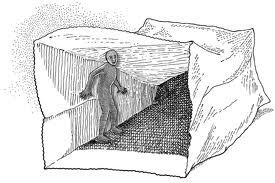 Do you feel as if you are in a tunnel, without escape? A clinical psychologist describes the symptoms of panic disorder, the treatments available, and what to do if someone you know has a panic attack. Kent based company Hypnosolution.co.uk has noticed an increase in clients suffering from panic attacks, and the numbers are expected to increase as we approach Christmas.